Shaw Gibbs is expanding its operation by opening a second office in London’s West End. The firm will offer its full range of accountancy services from the new office, and will be well placed to fulfill growing demand for its services from international property and business investment firms. 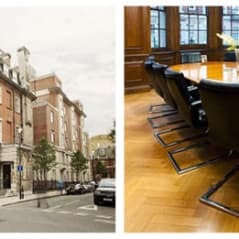 The office will also house members of the Insolvency & Corporate Recovery team providing insolvency and restructuring based services to its London client base. Shaw Gibbs Managing Director Peter O’Connell comments: “Our client base in London has grown considerably in recent years. We are also handling much more business for international investors and property firms who are located in London and active in the Oxford marketplace. “In addition, we have a large community of business and private clients, as well as fellow professionals, in London, so having a base there will facilitate our relationships and provision of services. The full range of accounting services for businesses will be on offer, including Corporate Finance, Corporate Tax, Auditing, Business Consultancy and Accounts Software and Management Services. Private clients will also have access to the firms full range of taxation services and financial advice for individuals. The Shaw Gibbs London office opens 1 March 2016 and is at 3 - 4 Devonshire Street, Marylebone, London, W1W 5DT, tel 0203 0026295.